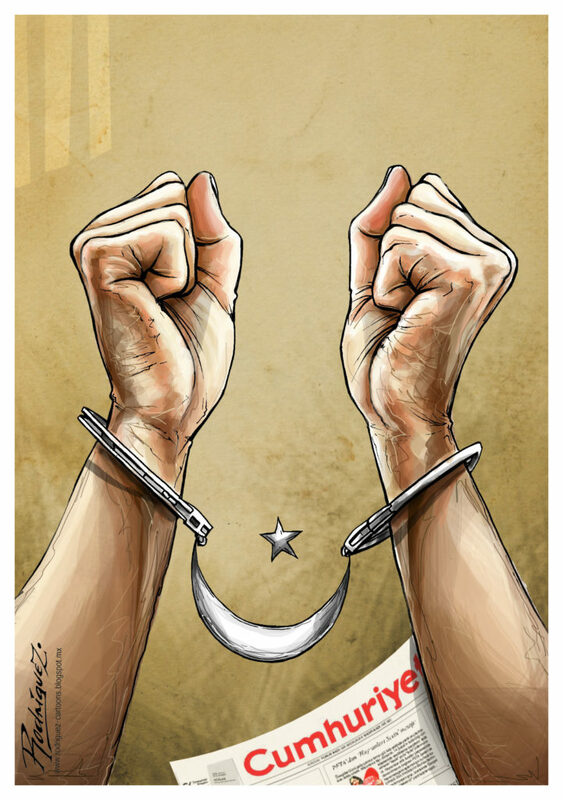 Antonio Rodríguez, cartoonist for La Voz de Michoácan in Mexico and Negratina in Spain, sends these cartoons, by turns poignant and outraged, in solidarity with Musa Kart who is currently in police custody along with several colleagues from Turkey’s Cumhuriyet newspaper. See more of Antonio’s wonderful work at Cartoon Movement where the topic of Musa’s detention has inspired many other colleagues. In addition, Cartooning for Peace have published a gallery of cartoons for Musa and will gather more in the days ahead.